FLO is the most fashionable Japanese restaurant in Bellevue. Whether you’re looking for a traditional sushi dinner, a fully-stocked sake bar, or simply a place to get a high-quality teriyaki lunch, you won’t see a better location in all of the Northwest. When you walk in, you’ll find yourself ensconced in an atmosphere that invites you back to the romance of traditional Japan. The decor, the friendly faces, the captivating aromas of foods both unique and familiar, this is a place where a meal becomes an event. Impress your partner for a fancy night out, introduce your family to Japanese food in style, or arrange for a private event in order to make your special occasion truly special. Our sushi and sashimi hold true to real Japanese tradition, with some modern fusion favorites thrown in as well. 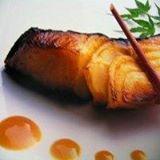 Our hot food selections include such classics as udon and tempura, and our special menu items bring a unique flair to the menu that should register most pleasingly to the experienced palate. If our offerings have one fault, it is only the crippling overload of choice. We are available for takeout orders and catering; please call for details.